Nissan shareholders voted Monday to eject Carlos Ghosn from the board, as the detained former chairman fights multiple financial misconduct charges that have landed him in custody. The extraordinary shareholders’ meeting at a Tokyo hotel was the first such gathering since the stunning arrest of the 65-year-old auto sector titan on November 19. And its vote to remove Ghosn brings an end to the auto tycoon's storied tenure at the firm, which he was once credited with having rescued. The meeting also saw shareholders vote to remove Greg Kelly, a US executive who served as Ghosn's right-hand man and who also faces charges in Japan, and approve a motion to replace Ghosn with Renault chairman Jean-Dominique Senard. Nissan sacked Ghosn as chairman almost immediately after his initial arrest but an extraordinary meeting of shareholders was required to remove him from the board. Nissan CEO Hiroto Saikawa and other top executives opened the meeting by offering a deep bow to thousands of shareholders. "Nissan expresses its deepest regret for any concern caused by the misconduct to our shareholders," he said. "We have to admit that there was a significant problem with our corporate governance," he added, saying he had been "extremely shocked" when he learned of the misconduct. "Nissan's governance isn't working well. I really regret that," 77-year-old shareholder Isamu Beppu told AFP before the meeting. "If there is no rebuilding of its governance, there will be no revival," he added. 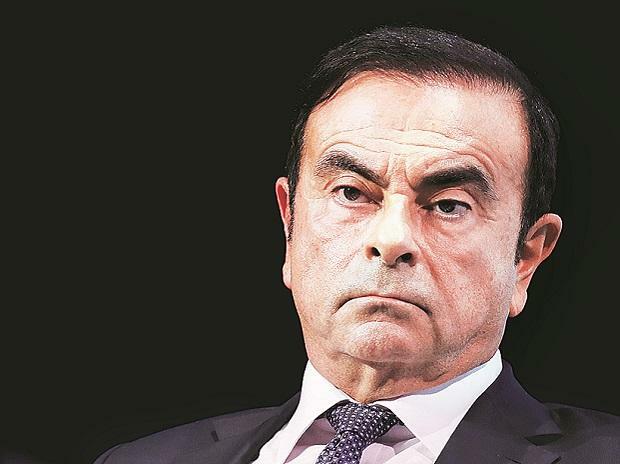 Ghosn faces three separate charges. The first two relate to the alleged deferring of around $80 million in income and concealing this in official documents to shareholders. The third, more complex, charge is that he attempted to transfer personal losses to Nissan and paid a Saudi contact who provided collateral from company funds. Last week, prosecutors rearrested Ghosn, who was out on bail, over an additional allegation that he transferred Nissan money to a dealership in Oman but siphoned off millions for personal expenses -- including the purchase of a luxury yacht. Prosecutors believe Ghosn moved Nissan funds totalling $15 million between late 2015 and the middle of 2018 and used $5 million of that for his own ends. This period can be extended for a further 10 days if the court allows, meaning Ghosn is unlikely to be released any time soon. And prosecutors could still announce additional allegations. Ghosn's wife Carole, who had been living with him in Tokyo while he was out on bail, told a newspaper on the weekend that she had fled Japan with the help of the French ambassador because she "felt in danger" after her husband's rearrest. Japanese prosecutors reportedly wanted to question her on a voluntary basis and are looking into claims that Ghosn routed suspicious funds transfers through a business run by his wife. Ghosn's rearrest on Thursday came less than a month after he dramatically won bail, paying around $9 million to secure his release. Just before his rearrest, Ghosn had appeared on Twitter to announce a news conference for April 11. Instead, his lawyers are to hold a briefing Tuesday and play a video Ghosn recorded before his latest arrest. Ghosn also gave a combative interview to France's TF1 television channel before he was detained, where he denounced a Nissan "plot" against him and voiced fears he might not receive a fair trial. "It's obvious it's a plot," said Ghosn, adding: "Everything needs to be put on the table. Of course, I have names." "Some of them you have seen in the press, but there are others that haven't been in the press," he said. He said his downfall was orchestrated by people scared of closer integration between Nissan and its French partner Renault. The other reason for the "plot" was the "deterioration in Nissan's performance for two years," he charged.